Book Travelling Thursdays is a weekly meme for book bloggers which celebrates the distance a book travels around the world through its covers in different countries. It was created by Cátia and Danielle and you can visit the Goodreads group for more information. This week’s topic is Everything has an end! Choose your favourite conclusion to a series. Now, given my unfortunate tendency to prefer standalone novels, or to have only partly read trilogies or series of books, or to have caught up but be a fan of an ongoing book series, this topic was actually quite challenging for me. So I’m going to have to be very, very stereotypical and choose JK Rowling’s Harry Potter and the Deathly Hallows. 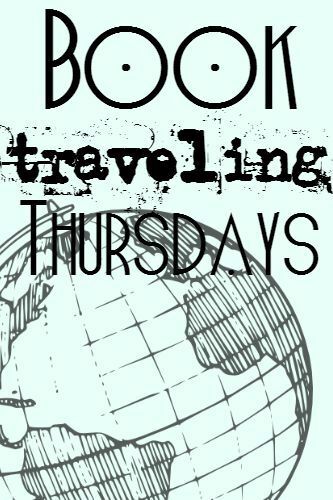 Book Travelling Thursdays is a weekly meme for book bloggers which celebrates the distance a book travels around the world through its covers in different countries. It was created by Catia and Danielle and you can visit the Goodreads group for more information. This week’s theme is in honour of International Women’s Day which was celebrated on Tuesday 8th, and it is to: Choose a book with a badass heroine. Frankly, there are so many badass heroines I could have chosen for this theme since young-adult fantasy seems to be full of them at the moment – which is a brilliant thing, of course! 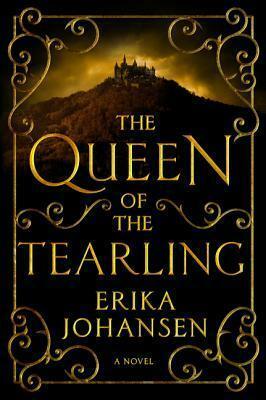 However, whilst browsing through the books I read semi-recently, I recalled just how much I enjoyed this particular author’s take on the typical fantasy heroine – Erika Johansen’s The Queen of the Tearling. 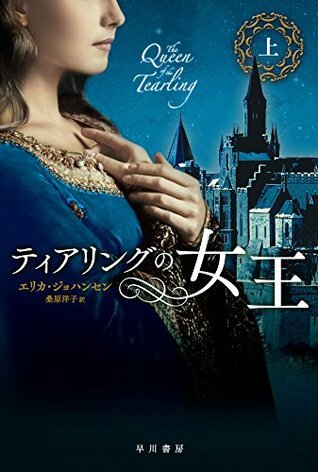 The Queen of the Tearling is a book which tells the story of Kelsea Glynne, a girl whose ascendency to the throne is as surprising to her as it is to the court. Bundled away to foster parents when she was a child, she has been hidden deep within the kingdom for years until she is whisked away from the only home she has known by Royal soldiers since her biological mother turns out to have been the Queen of the Tearling herself. Part-dystopian, part-fantasy, Johansen’s novel is not all about the big battles and rip roaring, swashbuckling action, so its heroine, fittingly, isn’t the sort of badass who swings a sword and sticks a knife in the gut of the nearest enemy. 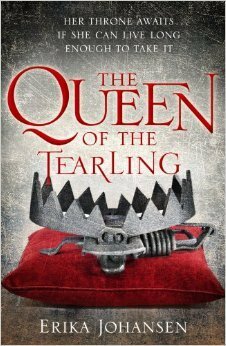 Instead, I think Kelsea is truly badass because, in a novel about social justice and court politics, she is the Queen that the Tearling might truly need. I adore this hardcover edition of the book, in fact I wish this was the one I owned! I think it’s a classy fantasy cover rather than gimmicky and it’s dark enough to hint at the darker and quite morbid undertones of the book, without giving anything away. 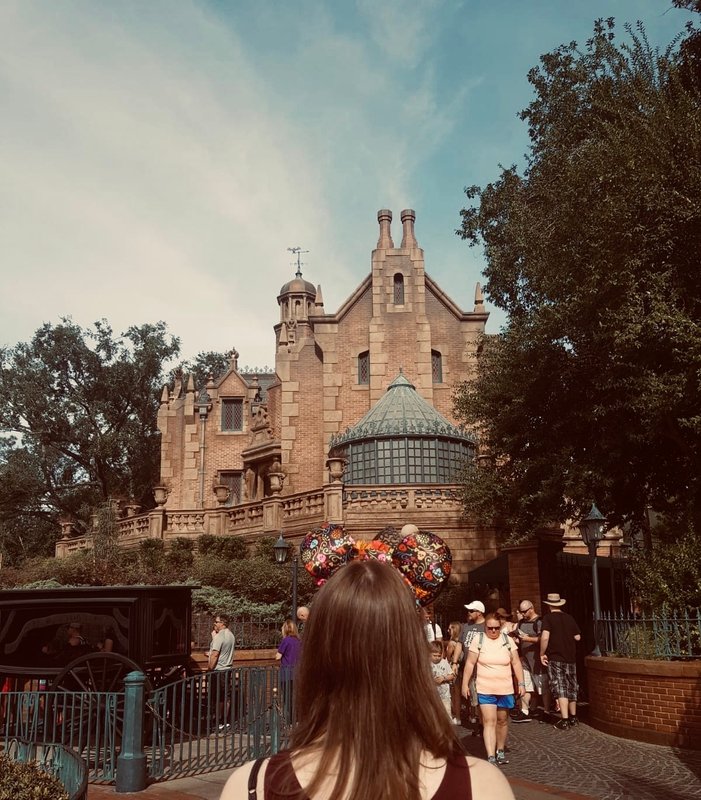 The image of the castle on the hill in the distance is a wonderful bit of simple symbolism regarding Kelsea’s right to rule and the obstacles/distance she will have to overcome to get there. I also really like the font used, and the flourishes in the corners tie the whole thing together nicely. Overall a really classy fantasy cover that I’d love to have on my bookshelves. The gushing I did for the US edition of this book is completely reversed for the UK edition since I pretty much dislike the UK covers. Whilst I really like the symbolism of the bear trap that also looks like a crown atop a pillow, and the grey/black/white and red colour scheme is normally my thing, the execution of the design leaves something to be desired, in my opinion. I think it’s the distressed/scratched overlay to the design – I’ve seen so many scratch and smudge patterns on graphics online that I can’t help but think it’s not a very subtle effect since it’s a bit cheap and gimmicky – sorry but that’s just one girl’s unqualified opinion. There are some mildly unappealing covers for this book – or perhaps I’m just spoiled by knowing the beautiful US cover exists! – but I’m not hugely fond of this edition’s cover design. My usual bugbear of having a photo of a character on the cover applies here, but it adds to this sin by having the girl do that annoying pose where they are positioned facing away but turn and look over their shoulder ‘at the camera’, so to speak. It annoys me in casual photographs and photoshoots so I really can be turned off a book cover immediately if it includes that. It’s a shame because the shades of blue used are really quite lovely. So there we have it, my Book Travelling Thursdays for 10th March. I’m really glad to see International Women’s Day celebrated in this week’s theme, I think it was rather apt. What do you think of these covers? Which is your favourite? Book Traveling Thursdays is a weekly meme for book bloggers which celebrates the distance a book travels by way of its covers. I’ve only recently discovered this meme thanks to the blog of the co-creator, Catia (the other being Danielle) and the Goodreads group, but I love the concept of it – particularly because it gives me the chance to see beautiful editions of books and develop some major cover envy. My previous BTT can be found here. This week’s topic is: Because some books stay with us forever!! Choose a book you want to re-read in 2016. I’m a serial re-reader so just choosing one single book to feature was tricky, to say the least, but I finally settled on one of my favourite novels of all-time: Daphne du Maurier’s Rebecca. For those unaware, Rebecca is a 1938 book penned by Daphne du Maurier and famously adapted onto film by Alfred Hitchcock in 1940, starring Laurence Olivier and Joan Fontaine. It tells the story of the shy, unnamed heroine who, at the outset of the novel, is working as a paid companion to a rich lady holidaying in Monte Carlo. It is here that she meets the mysterious Maxim de Winter, a rich and handsome widower who owns a famed Cornish estate named Manderley, the name of which features in the novel’s intriguing opening line: Last night I dreamt I went to Manderley again. After their whirlwind romance in Southern France, Maxim returns to the estate with the new Mrs de Winter in tow, but slowly she begins to realise that the house, its staff, and perhaps Maxim himself are still haunted by the ghost of the first Mrs de Winter, the enigmatic and eponymous Rebecca, a haunting presence who, even in death, manages to cast a long shadow over the novel’s inhabitants and, indeed, the novel itself. This week’s theme is… Everyone loves movies – choose a movie that is going to be adapted in 2016. I thought long and hard about this theme until the obvious came and slapped me in the face – J.G. Ballard’s High-Rise. My initials are ELB so E is for Emma by Jane Austen – actually my name! 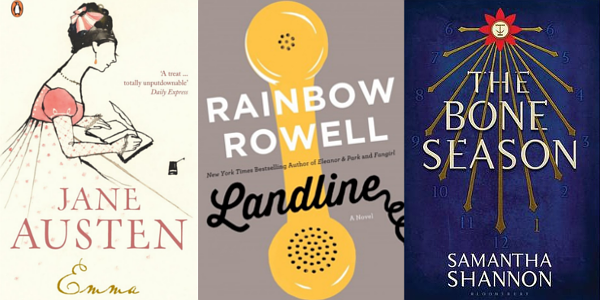 L is for Landline by Rainbow Rowell – a book I recall enjoying but don’t actually remember much of aside from the fact its protagonist is a TV writer with a rocky marriage and finds a phone at her parents’ house that allows her to call her then-boyfriend-now-husband in the past? Because, who doesn’t find gaudy yellow landline phones that let them call the past? And finally B is for (The) Bone Season by Samantha Shannon – love it, love it, go read it!